One journalist’s look at the top 5 reasons to get interested in microglia. President Obama named 96 researchers, including Beth Stevens, PhD, as recipients of the Presidential Early Career Awards for Scientists and Engineers, the highest honor bestowed by the United States Government on science and engineering professionals in the early stages of their independent research careers. Awardees are selected for their pursuit of innovative research at the frontiers of science and technology and their commitment to community service as demonstrated through scientific leadership, public education, or community outreach. See White House press release here. See NIH press release here. 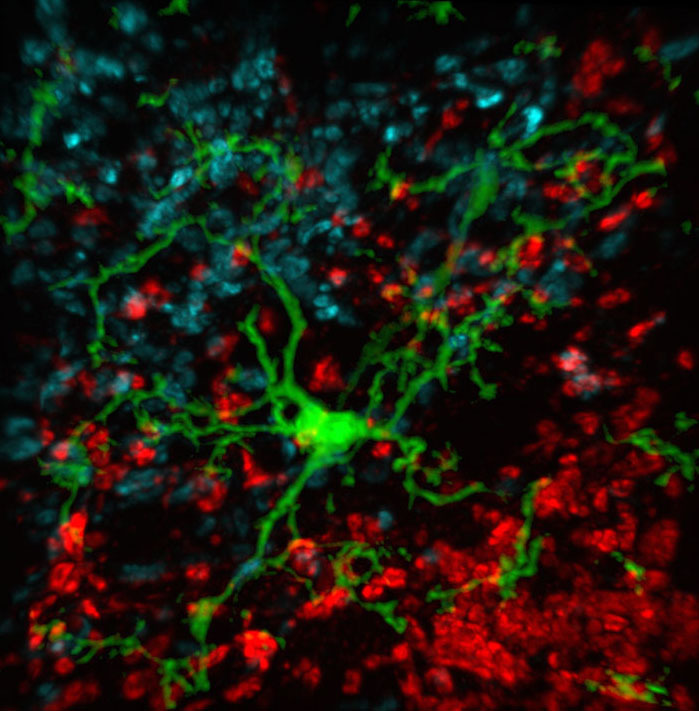 Immune cells called microglia may play a central role in trimming synapses, the connections between neurons, according to research published 24 May in Neuron. These modifications are part of a normal developmental process by which excess synapses in the brain are destroyed.